A prostitute smokes marijuana while waiting for a client in Beni, DRC. For decades, the Democratic Republic of Congo has been shattered by civil war. North Kivu province, in particular, continues to feel the effects of years of conflict and instability. Unemployment is rampant, access to quality healthcare is limited and security is tenuous at best. 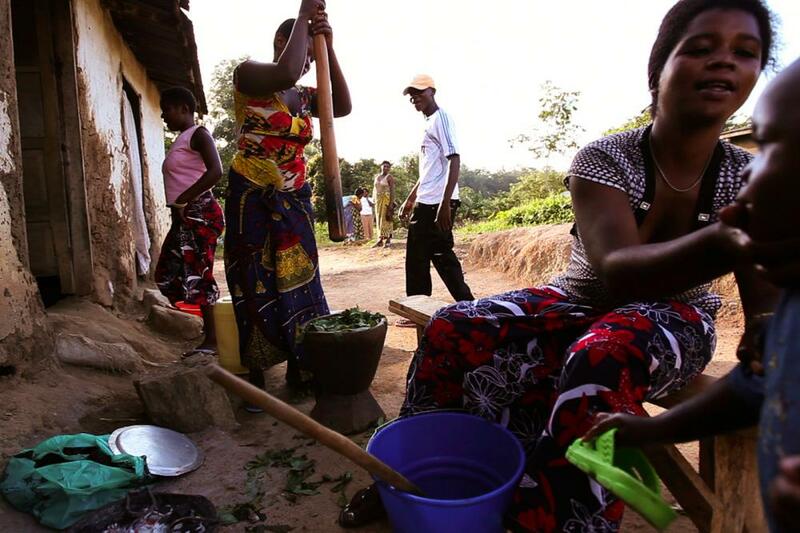 In the face of these challenges, the majority of Congolese people struggle to thrive. 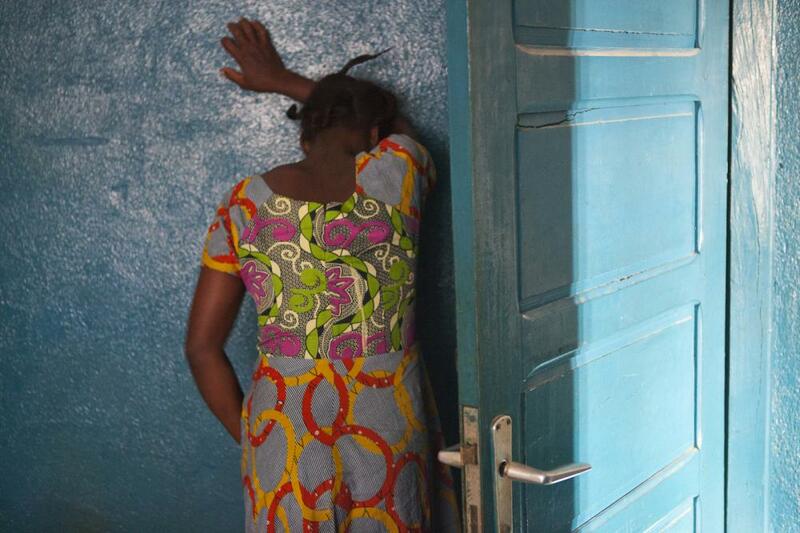 Increasingly, women unable to afford schooling turn to prostitution as a source of income. 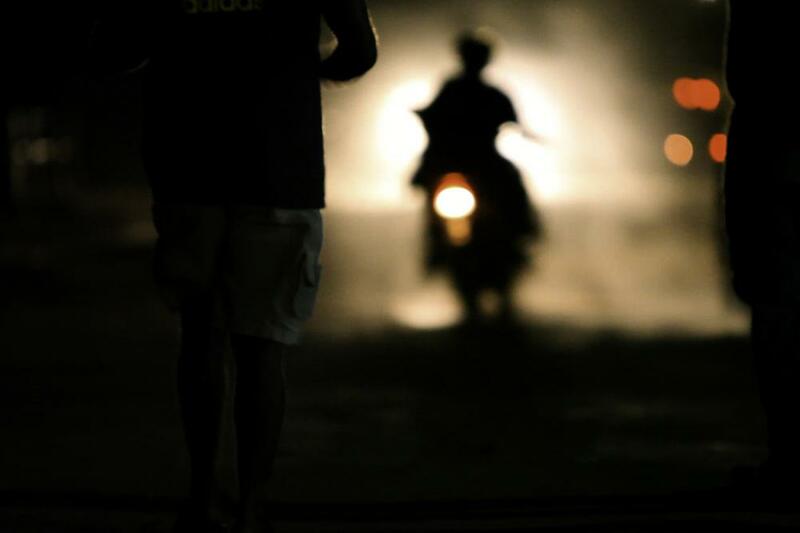 In the city of Beni, an estimated 250 houses of prostitution operate. 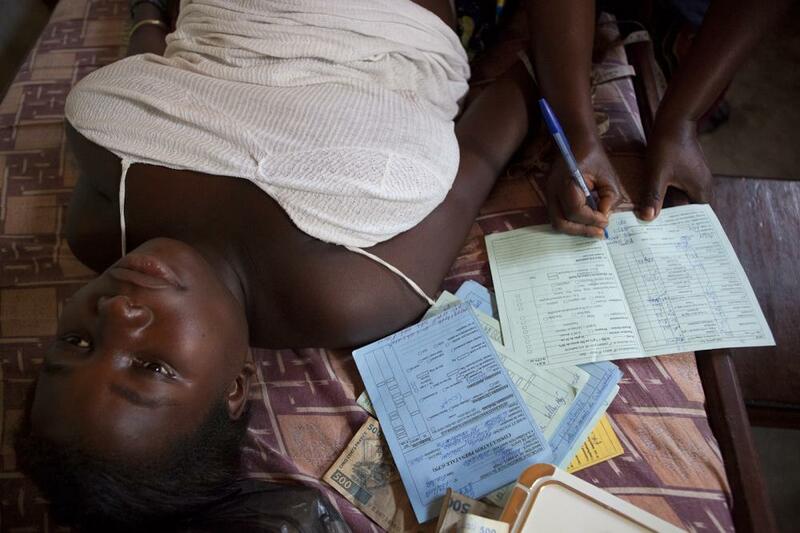 Many Congolese women also fail to receive adequate maternal healthcare. The images in this exhibit explore the personal stories of women forced to work as prostitutes in order to support themselves and their families. 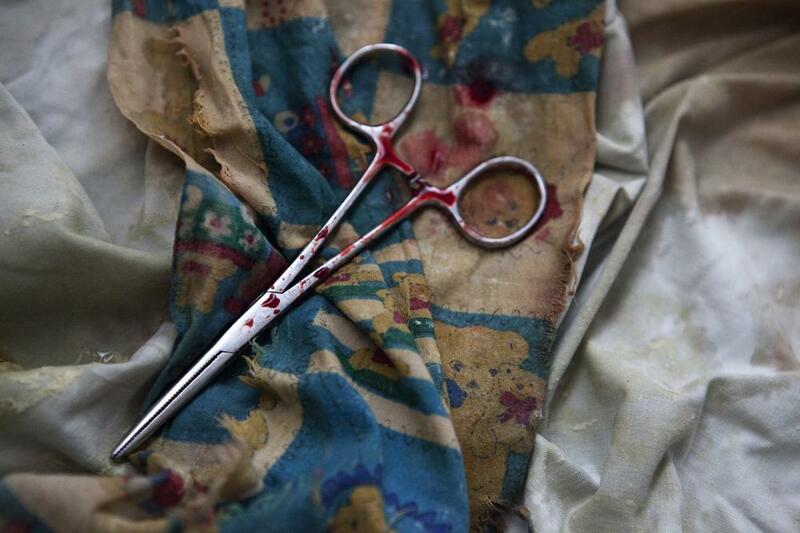 Others look at the courage of nurses and mothers at maternity clinics. 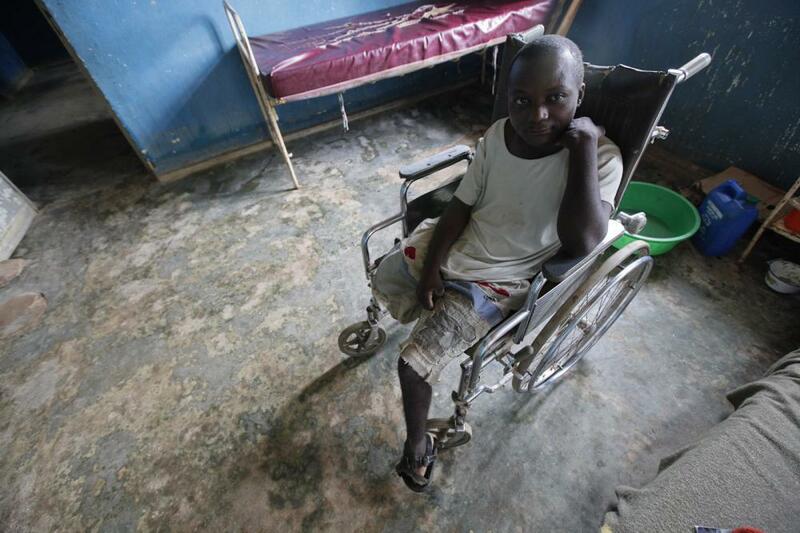 Still others reveal conditions leprosy patients face in rural Congo. Together, they aim to shine a light on the incredible strength and resilience of Congolese people in the face of enormous hardships. 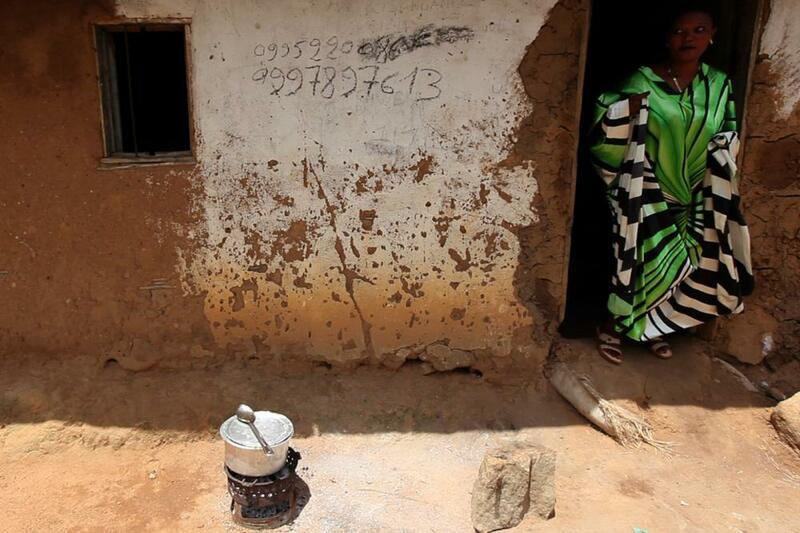 A madam scans for clients at a house of prostitution in Beni, DRC. A 16-year-old girl ran away from home to begin working as a prostitute in order to help pay for basic needs. 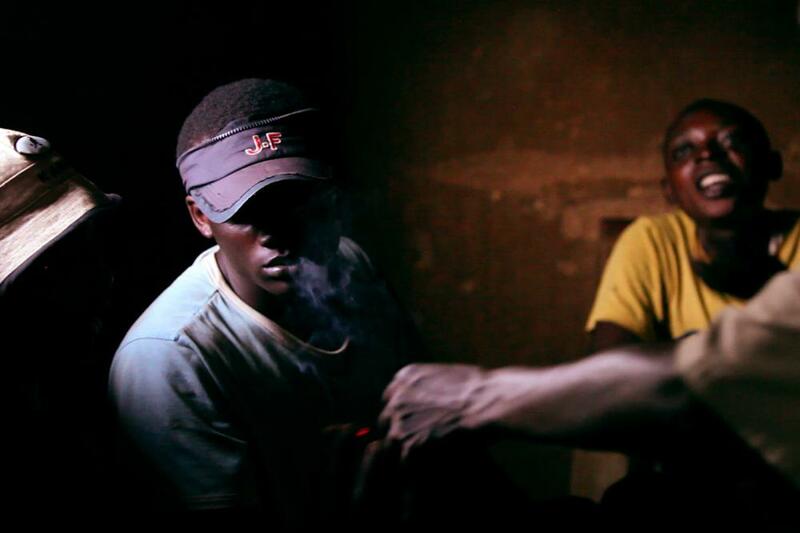 Men smoke marijuana and drink beer at a local house of prostitution in Beni, DRC. 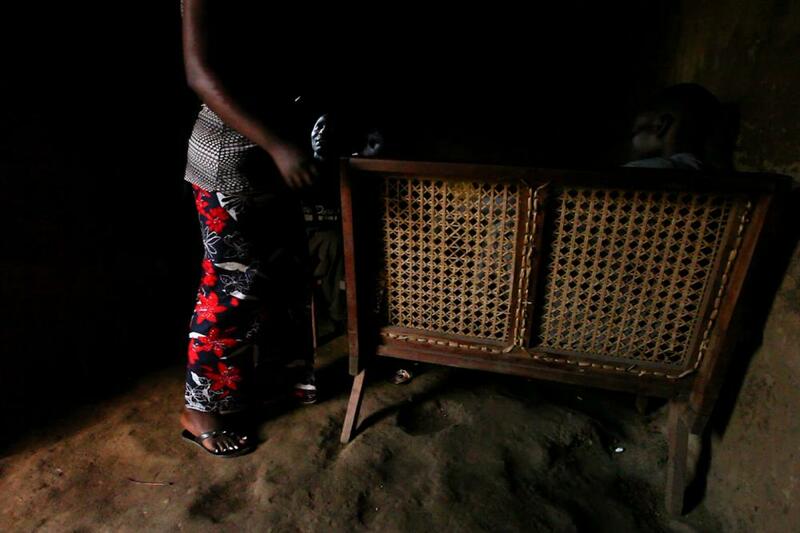 Many Congolese women working as prostitutes in DRC live in extreme poverty. A woman who works as a prostitute takes care of her son outside a house of prostitution. Despite the dangers of being outside at night in Beni, DRC, most women working as prostitutes see the majority of their clients at night. 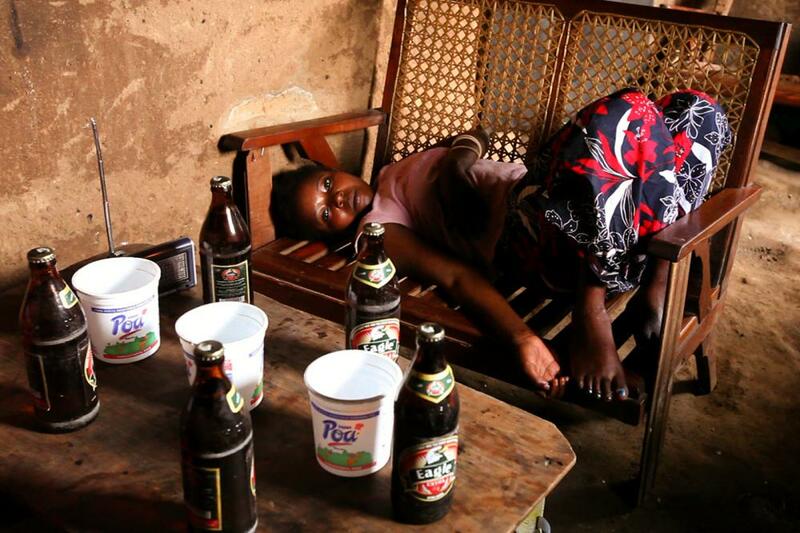 A young girl rests on a bench inside a house of prostitution after serving beer to local male customers. A client negotiates a rate with a prostitute in Beni, DRC. 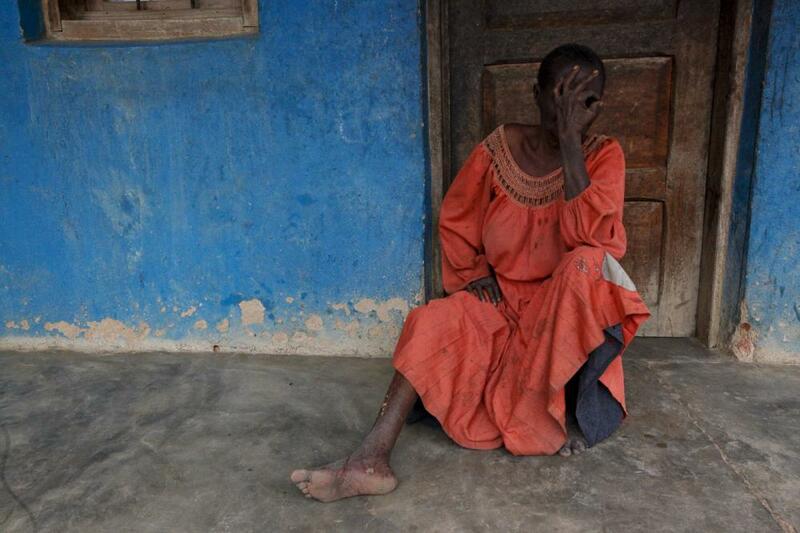 In the town of Oicha, DRC a blind woman suffering from leprosy sits outside a clinic. A young man suffering from leprosy waits to see a doctor at a clinic in Oicha. 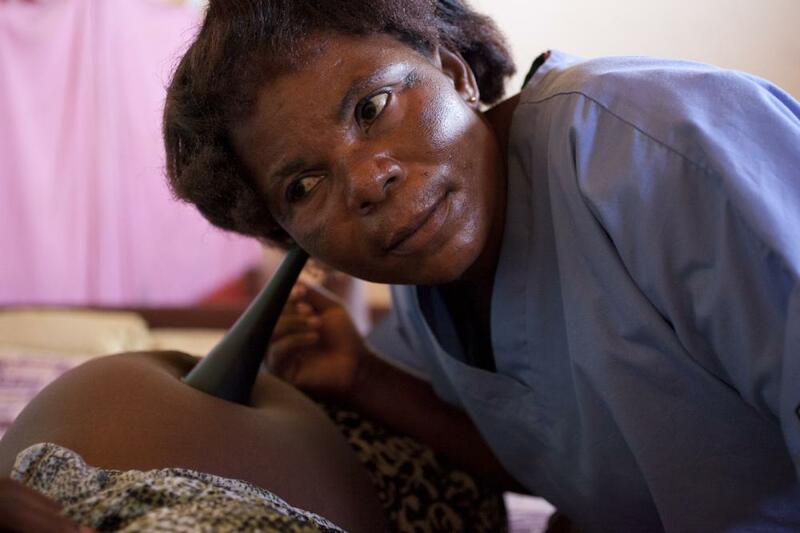 A nurse listens for a baby's heartbeat at the Centre de Sante in Beni, DRC. A nurse takes notes after collecting money for services at a maternity clinic. Water for cleaning and deliveries is extremely limited in Beni, DRC. A woman labors against a wall at the Centre de Sante maternity clinic. 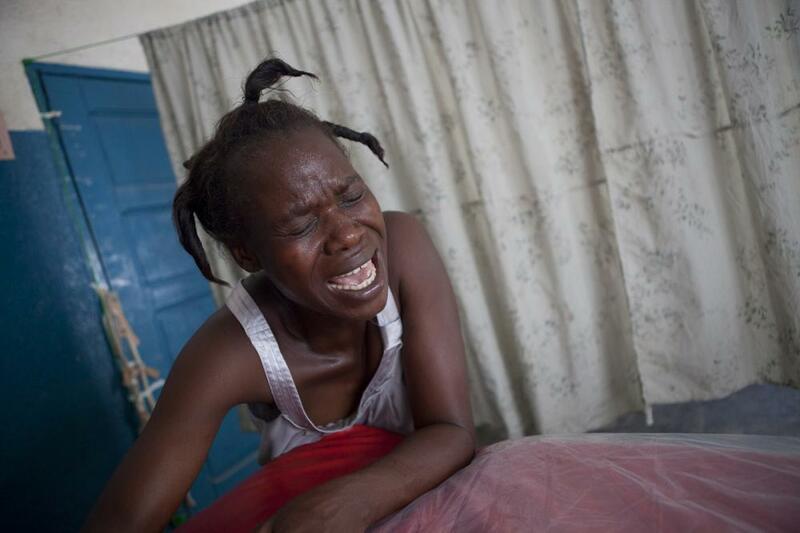 A 44-year-old woman cries out during a contraction at the Centre de Sante clinic. 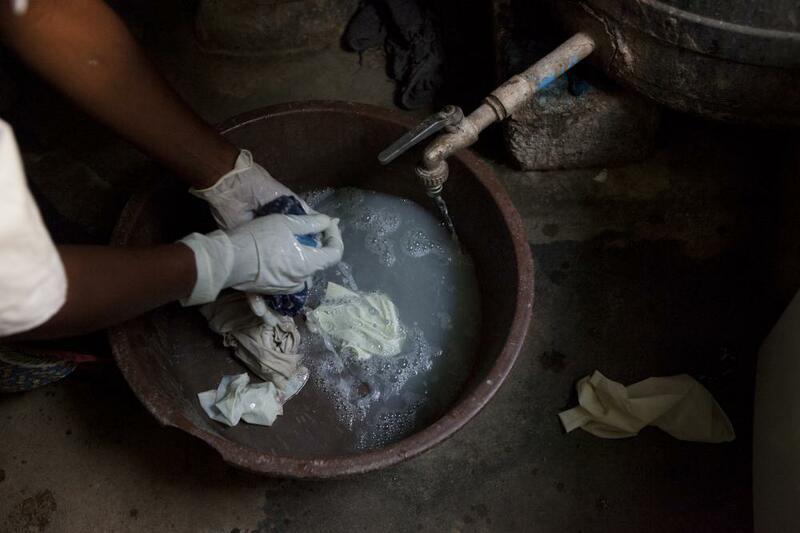 Maintaining sterile conditions with limited water is difficult at the Centre de Sante. 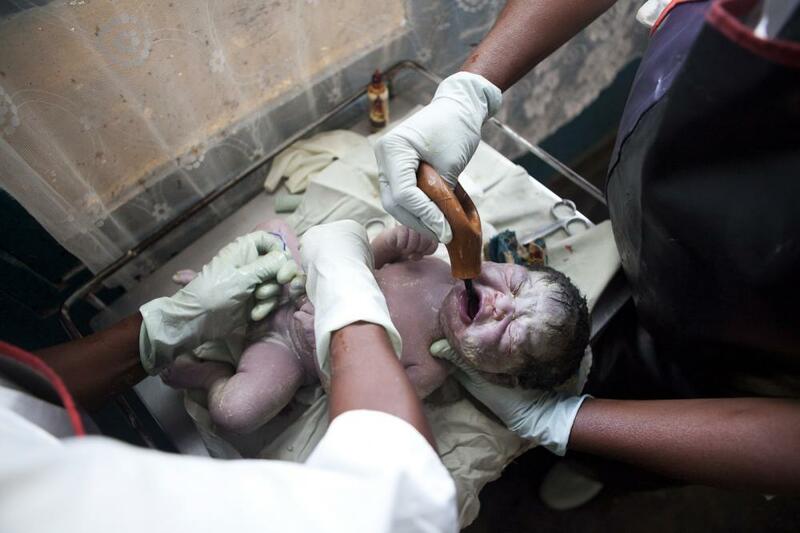 Nurses attend to a newborn baby in Beni, DRC. 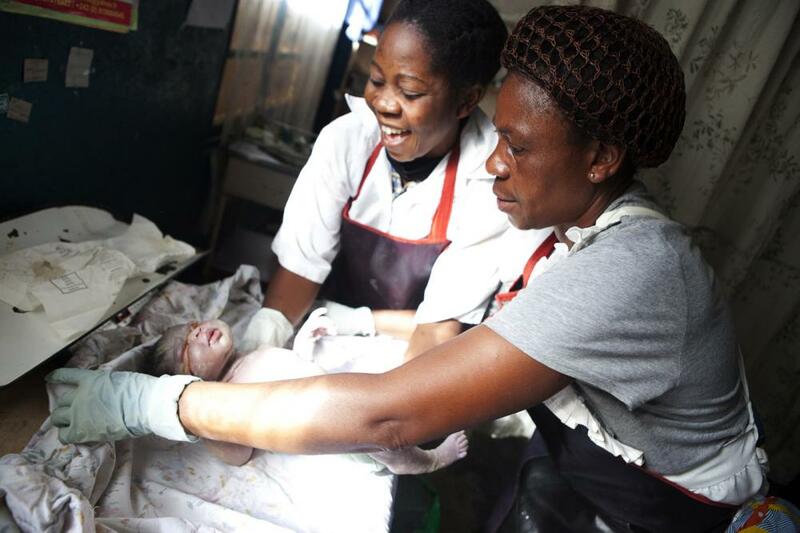 Nurses weigh and swaddle a newborn baby at the Centre de Sante. 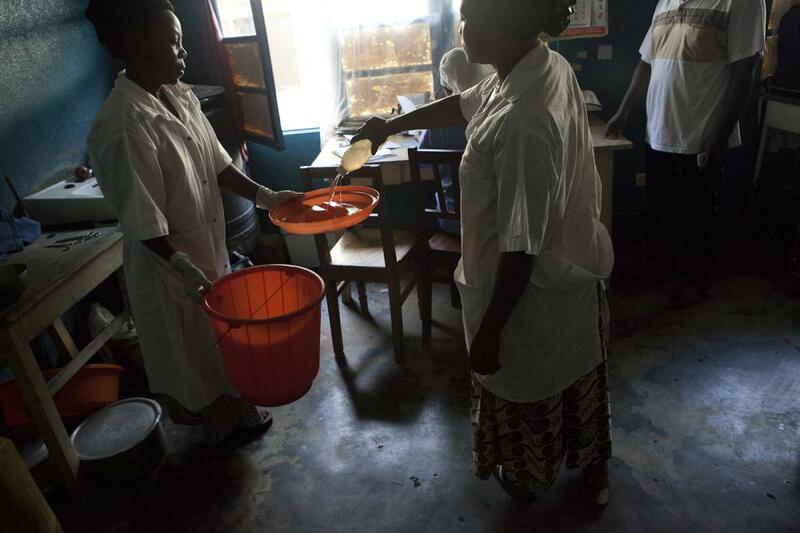 After every delivery, nurses begin the process of cleaning and sterilizing the delivery room as best as they can with limited water and cleaning products. 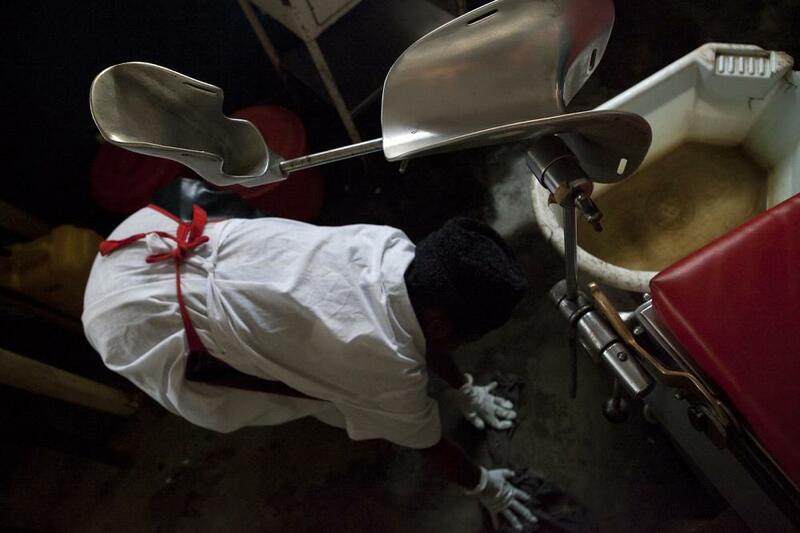 A nurse scrubs the delivery room floor with water and old rags minutes after delivering a baby in Beni, DRC. 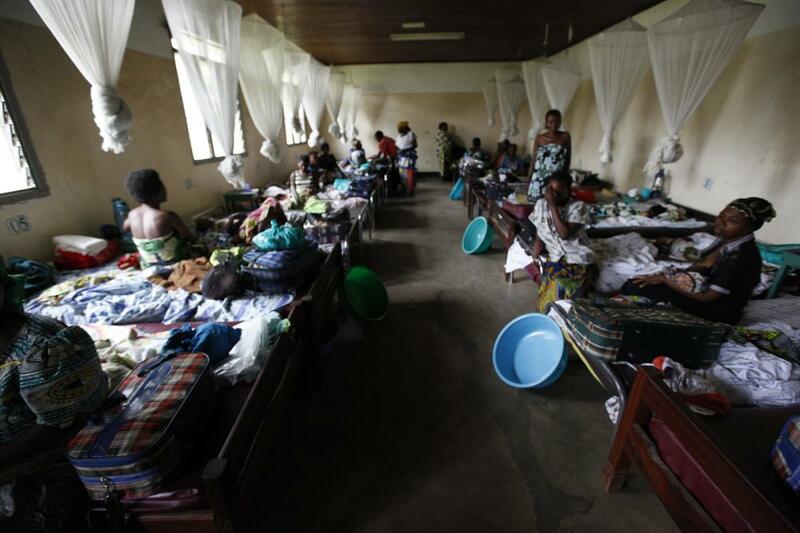 Women fill maternity ward beds at a clinic in Oicha, DRC. 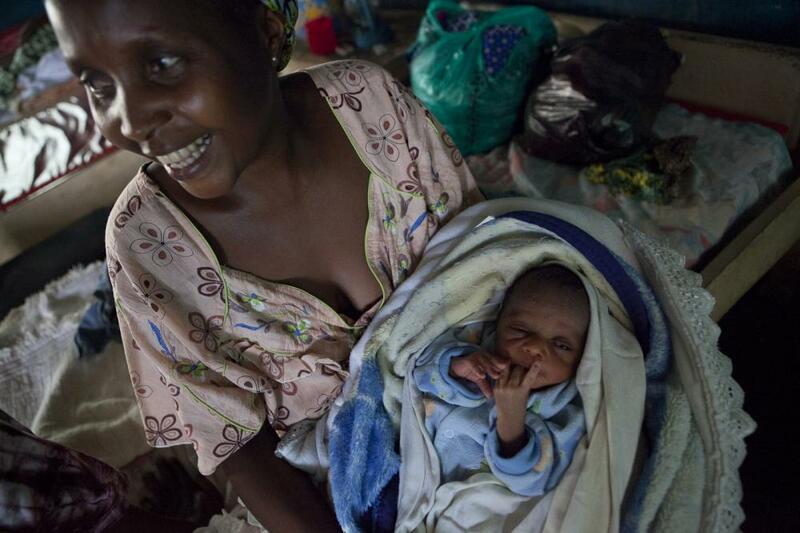 A Congolese mother smiles while holding her newborn baby at the Centre de Sante in Beni, DRC. 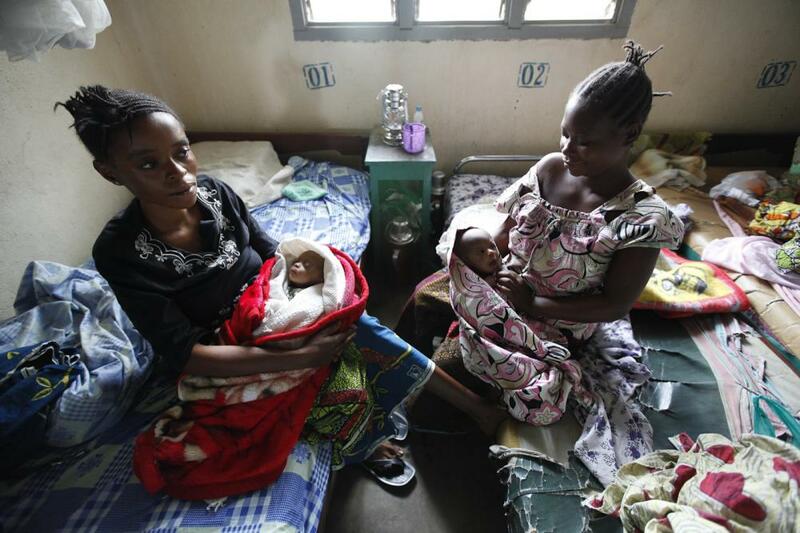 New mothers attend to their babies at a clinic in Oicha, DRC.